Green roofs are a win win along with green walls in cities, says the UK Committee on Climate Change in its UK Climate Change Risk Assessment 2017 report. The report criticises all UK countries for failing to make use of Green Infrastructure interventions. ‘Potential win win measures’ such as living roofs and green walls provide climate-mitigating benefits such as flood and pollution reduction and increased biodiversity. Importantly, they also help to cool cities. With increased summer temperatures, this will become an important factor in helping cities adapt to climate change. The report berates the UK Government for not addressing the barriers to uptake identified by the 2008 Pitt Review, particularly regarding sustainable urban drainage (SUDS). While other countries like Germany, Austria and the USA have responded proactively to urban green interventions, nationally the UK lags behind. Here at Livingroofs.org, we are aware of the lack of discussion at high levels of Government about the need for green roofs and walls and the positive contributions they can make in helping UK cities adapt to climate change. Green roofs and walls alone will not solve all climate change problems in cities, but they are a significant part of the mix. Even at ground level, vegetation and soil are a low priority when they should be considered a high priority, and quick and easy to implement. London, although not mentioned in the report, has proactive policies to ensure that new developments include green roofs in their design. However, the National Planning Policy Framework is a barrier to their implementation outside the capital. With London’s ability to set policy outside of the NPPF, the city has been a trail blazer. Green roofs were recognised as a win win by the capital at the same time as the Pitt Review in 2008. The 2008 London Plan instigated the first green roof policy in the UK, which Livingroofs.org was instrumental in helping to make happen. 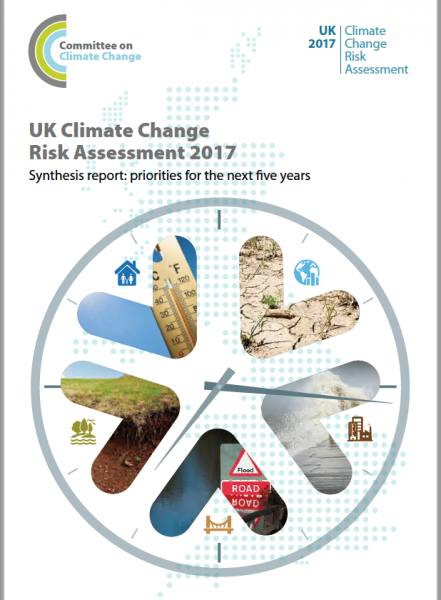 The UK Government now needs to devolve decisions on climate change adaptation to all UK cities. Then they too will be able to instigate policies that support the implementation of green roofs, green walls and other Green Infrastructure into new urban developments.